there's nothing chicer than monochromatic. monochromatic patterns, monochromatic decorating, monochromatic outfits - this tone on tone style cannot be beat! one of my favorite manicures for the last year has been a classic white polish. to offset the look of whiteout, i usually opt for a marshmallow white or a white with a very slight beige undertone. however, combining my off-white with my stark-white had my favorite results. a monochromatic mani that has the best of everything. 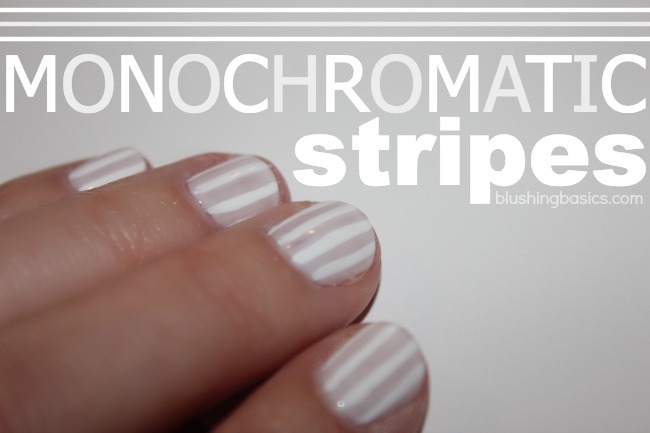 check out the simple tutorial below to see how you can achieve your own monochromatic mani.